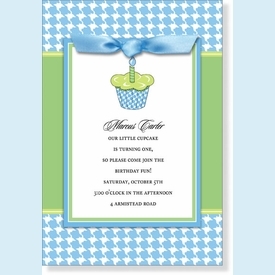 Sweet two-layer invitation features a blue gingham backer card topped with a cupcake design imprintable top card (4" x 5.5". Also included is blue ribbon to tie through as shown (customer assembly required). NOTE: Only 8 sets left! 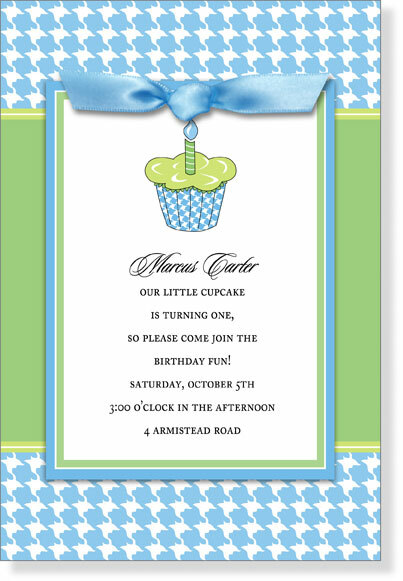 SIZE DIMENSIONS: 5.25" x 7.75"